Now go read the rest of “My Magnificent Seven” on the official Robert McCammon website! Robert McCammon is the New York Times bestselling author of nineteen novels, including the award-winning BOY’S LIFE and SPEAKS THE NIGHTBIRD. There are more than four million copies of his books in print. His latest novel, THE RIVER OF SOULS, is the fifth book in the Matthew Corbett series. It is available now from Subterranean Press in both trade hardcover and Kindle formats. His next novel, THE BORDER, is SF/horror. It will be published in Spring 2015 by Subterranean Press. Visit his websites: www.robertmccammon.com and www.matthewcorbettsworld.com. Wonderful insights by one of my all-time favorite writers! I can’t resist pointing out that Dean Koontz’s Intensity is another book that’s impossible to imagine without shifting points of view. The suspense would all but disappear. Sigh! Wonderful article. Wonderful list of books. I’m a big fan of McCammon. Loved his book – The Five. Thanks for bringing this to my attention Brian! 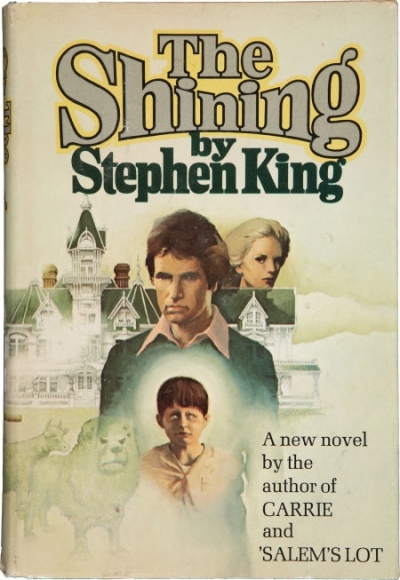 THE SHINING was one of the earliest King books I read and it scared me silly the first time I read it. I’ve read it several more times since then and it still gives me chills, This is a horror classic that will never be forgotten. A wonderful topic about wonderful books! !